Cor, it’s been one of them days. Gig bookings are like buses. You’ll be waiting in the arctic of barren bookings for days and then suddenly several tour buses arrive at once from all corners of the planet. First of all, jumping over the ropes in true WWE style is a night of comedy and wrestling stories from Colt Cabana. Colt travels the world regaling stories of he square ring and recording for his podcast, The Art of Wrestling. Certainly something a bit different for us but sure to entertain any wrestling fans! Next up a last minute gig for The Human Project and Alt Track. The Human Project have just released a superb album which is well worth a listen and Alt Track have just dropped a new song from their upcoming EP, “Whistleblowers” with a cheeky sample from Random Hand‘s song Bones. It will be a noisy Thursday and we welcome it. Free gig and it falls on our Real Ale Club so £2 a pint of real ale! Last but not least, U.S. 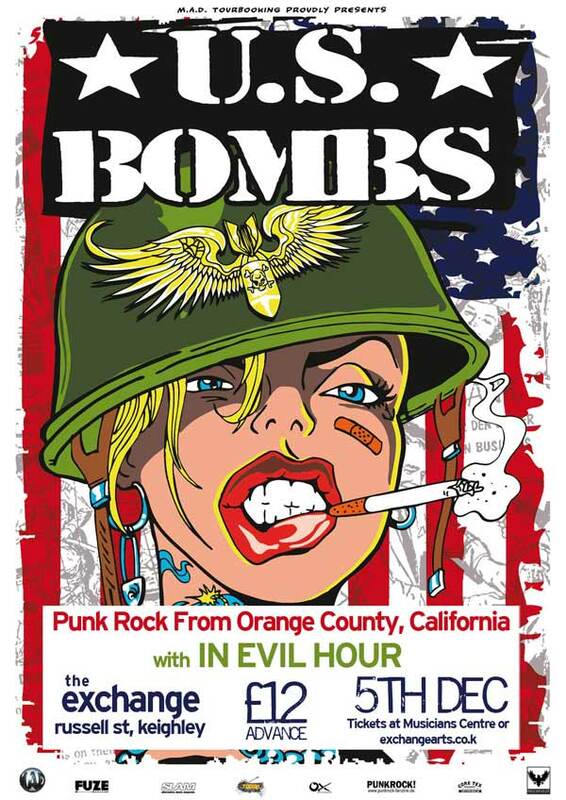 Bombs booked into The Exchange for part of their European Tour!